To celebrate the launch of the iconic Apple I computer back in 1976. 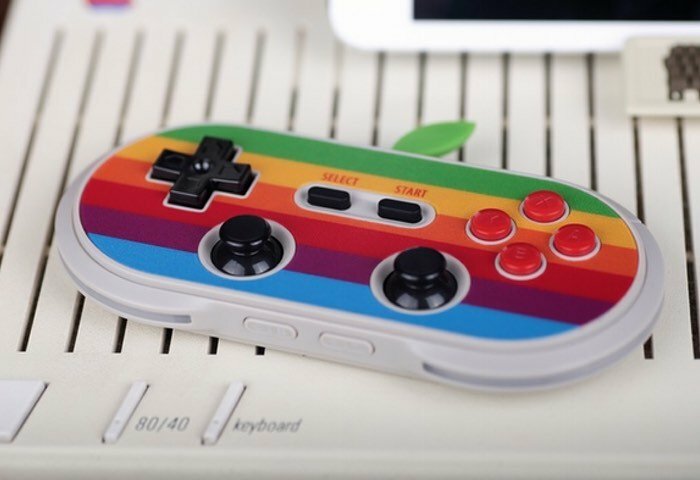 8Bitdo have created an Apple themed Bluetooth controller which can be used with your iOS or Android mobile device as well as PC and Mac desktop systems. The AP40 Bluetooth controller is finished with an Apple inspired retro logo to celebrate Apple’s 40th anniversary, and is available to back via Kickstarter and comes complete with its own little Apple inspired stand pictured below. Using the Retro Receiver line adapter owners can also use the AP40 on retro systems such as the NES, SNES and even the Apple IIc. Watch the video below to learn more about this unique Bluetooth controller which has been launched by Kickstarter this week. The AP40 is a Bluetooth controller. Connecting it with any of your devices is a breeze. It pairs the same way that most other Bluetooth devices pair. You start by putting your controller in “Bluetooth mode” then in your devices Bluetooth setting, select the controller and it’s paired. Check out the video below to see how easy it is to pair with each device. 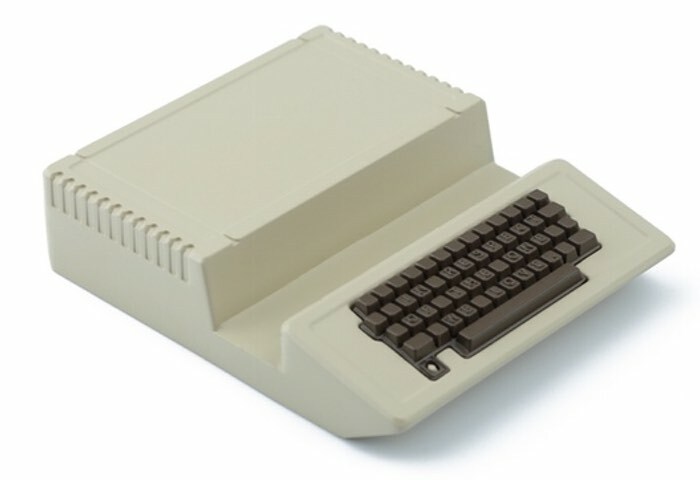 To honor Apple’s pioneering Apple I in 1976, we designed a stand modeled after the original Apple II computer. It is designed to elegantly hold your AP40 controller, smart phone or tablet. We wanted to do something unique to celebrate the anniversary of the Apple I. We developed a Retro Receiver for the original Apple IIc. If you are familiar with our Retro Receiver line (for NES & SNES), the Retro Receiver for Apple IIc functions exactly the same. It allows you to use your AP40 wirelessly with your original Apple IIc. Not only can you play your Apple IIc wirelessly with any 8Bitdo controller or arcade stick, you can even use wireless next gen controllers (PS3, PS4, Wii Mote, Wii U Pro).